Planning what your family eats is an efficient way of doing groceries and helps you to increase the variation of fresh, seasonal produce in your diet – plan different ingredients every week. 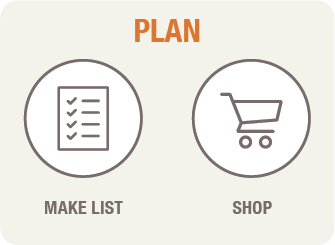 Buy all your groceries in one go, and do not forget to restock our pantry – the secret weapon of every good cook. 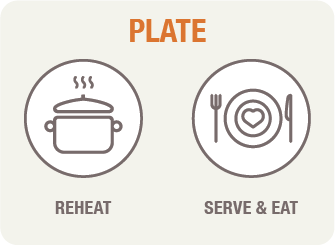 Easily prep a variety of healthy and delicious foods, suitable for all diets. Keep your cooking space organized with the help of the step-by-step guide. 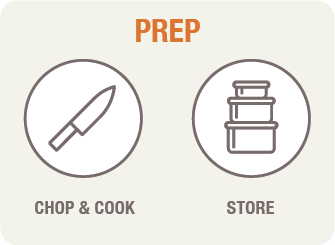 Rely on the Prep Cards, designed to simplify cooking, to power through a work week worth of dinners in only two hours.